My name is Jacynthe Villemaire, and most everyone calls me Jaz. I currently live in Ingleside, Ontario, near the beautiful St. Lawrence River. I am listening to the trees whispering in my backyard; the ashes, elms and cedars sweetly dancing in the wind. I am singing the Grandmother Cedar song I learned this past weekend during my very first shamanic retreat, Heart Growth of Shamanism. As I woke up this morning, I felt the urge to write to you. 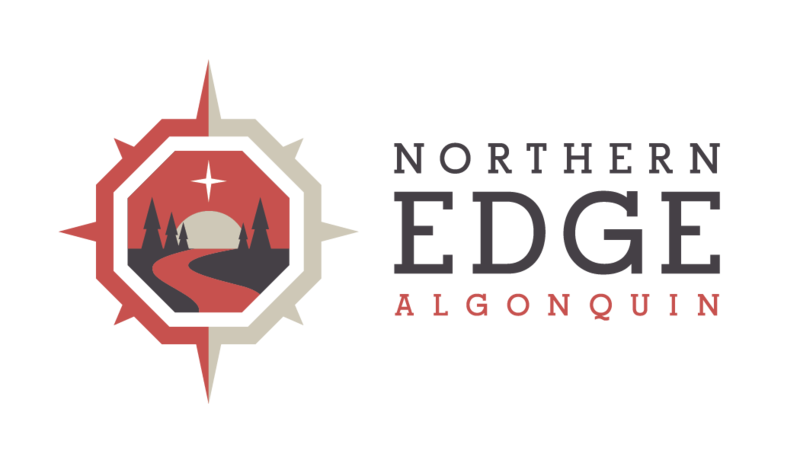 You might have been considering coming to The Edge for a very long time, or it might be something that just popped up in your email or online media feed. You might be wondering what to expect from such a journey… it might seem mysterious, enchanting, and just a little scary. Fresh from my first experience, here are my Top 5 things to expect during your visit at the Edge. 1. No agenda? Oh my. I worked for 14 years in the federal government in Communications and Training Development. I have opinions and ideas of what training “should” be, according to adult learning principles, latest research, etc. I have learned to develop an agenda far in advance and have it approved at least 10 times before the date of the actual training. I have learned to work with this specific agenda and timelines when I deliver training sessions. If you, too, have any of these expectations and opinions… leave them at home! This is not the way of the Circle! The intention for the Gathering develops organically based on the facilitators’ meditations, discussions and observations in the weeks preceding the Gathering. And then it evolves. And it evolves again. It keeps shifting as pieces of the puzzle are placed together; pieces that we each bring to the Circle as we share our journey. The activities shift with the in-the-moment needs of the participants, with our questions, with our reflections, and with the facilitators’ observations of what is going on in the physical and non-physical realities. The intention is connected to something much greater than an agenda fixed on a piece of paper… Spirit doesn’t work with a fixed agenda; and that’s a good thing! Talk to your rational mind, and reassure it that all is well even without a specific plan, map or agenda. Your rational mind might resist and be very uncomfortable with the seeming lack of structure… and if it does, take a deep breath, smile, and choose to relax knowing deep down that you ARE following a specific path, and that is the path of your heart, which is not written on paper. The sooner you can let go and flow with the moment, the sooner your heart can open and provide you with the insights you need on your journey at this time. 2. A different way of learning. Just like the lack of agenda, there are no set learning objectives. If you expect to come and “learn about” shamanism… be ready to be pleasantl surprised. This past weekend, I have learned that it’s best to experience shamanism from the inside out, journeying with one’s own heart, rather than learning yet one more theory and staying in the realm of the mind. If you are called to shamanism, if you have questions… then you also have the answers within your heart. Allow yourself to discover your answers as your mind wanders and your senses are filled with the beauty of Nature around you. It won’t be a textbook experience. It will be YOUR experience, as you examine your stories, the chapters of your life, and the stories of your ancestors that are found within your own being. 3. Warning: children at play. Inner children in adult bodies, that is. From the very beginning, you are invited to discover the world around you with the eyes of your inner child. Remember what is was like to hold a rock and see it sparkle under the sunlight. Remember the awe looking at tall trees, and at small insects – and imagining what it would be like to be as tall or as tiny as they are. Remember your curiosity: explore, follow invisible clues, ask yourself a ton of “why”. Leave behind the fears that you have rationalized and explained away with your adult mind, and give yourself permission to play. Smell the flowers. Hug the trees. Say hello to insects, clouds, and fishes. Feel the excitement of trying things for the first time, whether it’s new food, new friendships, canoeing, drumming, journeying, journaling… Expect to see magical things unfold before your very eyes. There are spirit helpers everywhere on the land; you might see some as you turn a leaf. You might hear a tree answer your question. You might sense magical creatures in the lake. You might hear drumming to the heartbeat of the Earth as you fall asleep at night. Give your inner child permission to fully experience and enjoy this invisible world. Your inner child, after all, holds much wisdom! 4. A different way to connect. The Edge is in the heart of a forest, on the edge of a lake. It is away from “civilization” and there is no WiFi. Leave all those i-things and electronic devices at home. Your experience at The Edge is not broadcasted live on social media… but you will learn that your thoughts, your emotions and your experiences are connected to the invisible web that connects us all, and ripple out to the world. Synchronous events abound, and when you share openly with others in the Circle, you might just notice how your dream, your fear, your thought, your emotion… is not entirely your own; it’s also useful and valid for others in the Circle. The facilitators might also read emails received from the wider Circle – past participants, members of Peace Villages, and shaman brothers and sisters – who are connecting with the energy of the Gathering and offering their insights, or poems, or questions. You might find that their input directly applies to you. The gift in these exchanges is the realization that we are not alone. Too often, we feel like the crazy one of our family, with no one that shares our dreams and our connection to the spiritual realm. We might believe that we are making things up in our too vivid imagination, and that none of that matters. Please remember: your connection with the invisible does matter. YOU matter. And you BELONG. Come find your tribe. Share what you haven’t dared share before… and you’ll soon find that others can easily relate. With your tribe, you will learn to connect deeper with yourself and most importantly, you will learn to trust that inner knowing that has been nudging you and pushing you all these years. 5. Expect to feel transformed. It might be a big shift for you, or a series of more subtle transformations. If you already work with energy and spirit guides, you might sense that your spiritual team is transforming – the spirit of an old shaman has been added to my usual line-up of spiritual healers as soon as I registered for the weekend a few months ago, and I love holding space as he works on my clients. One thing that immediately felt very different for me on the drive home was a sense of calm and groundedness. I typically feel very “high” after a spiritual weekend, and my head can buzz so much that I find it difficult to concentrate on the drive back – it’s like I’m floating out of my body, and that’s not where I want to be when I drive! I was nervous about the long ride home – but as I was driving along the dirt road away from The Edge, I noticed how calm and peaceful I felt. My mind was not filled with a bunch of new ideas. My mind was not processing experiences in its typical rapid-fire way. I just felt peaceful, and very happy. My heart was filled to the brim with Love for everyone I met, for the facilitators, and for the spirit of the land. I felt focused. I felt grateful. I have not discovered something new over the weekend; rather, I remembered pieces of who I am, and let go of pieces that are not me. I am looking forward to noticing how my shift in perception will continue to fuel my sense of being and my connection with the magical invisible world as I continue my journey. This past weekend at The Edge was quite different than what I expected it would be. And yet, it was richer, more beautiful, and more insightful than what my mind alone could ever come up with. I opened my heart, and I am smiling from head to toes, in peaceful bliss. I am wishing you much joy and love in your own journey, and I hope my sharing can help you prepare your mind – and your heart – for the beautiful adventure that awaits you at The Edge.